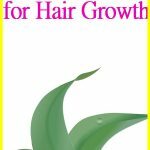 DIY Aloe Vera Juice Hair Moisturizer for Hydrated & Silky Locks - beautymunsta - free natural beauty hacks and more! 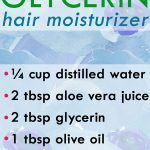 Want to keep your hair moisturized and silky always? 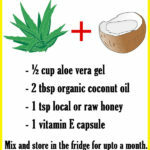 Use this DIY aloe vera juice hair moisturizer everyday! It’s especially good for natural hair, frizzy hair, curly hair and dry hair types! Aloe vera juice is a fascinating ingredient. It’s extracted from succulent aloe leaves. Pure aloe vera juice has a thick gooey consistency and has incredible benefits for health! It detoxifies the blood, alkalizes an acid body, keeps the liver healthy, regulates a healthy bowel movement and more. This amazing plant extract also has lots of beauty benefits. It’s loved in the natural hair care world as a great moisturizer, sealant, hair strengthener and hair growth booster too! 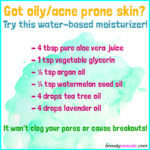 Into the spritz bottle, pour in your distilled water, aloe vera juice, vegetable glycerin, coconut oil and olive oil. Now add the drops of geranium & lavender essential oils, close the bottle and shake well to combine everything. Use every day after a shower on wet hair, to moisturize it and keep it silky and soft. Don’t apply too much that your hair is dripping wet but just enough to lock moisture in. 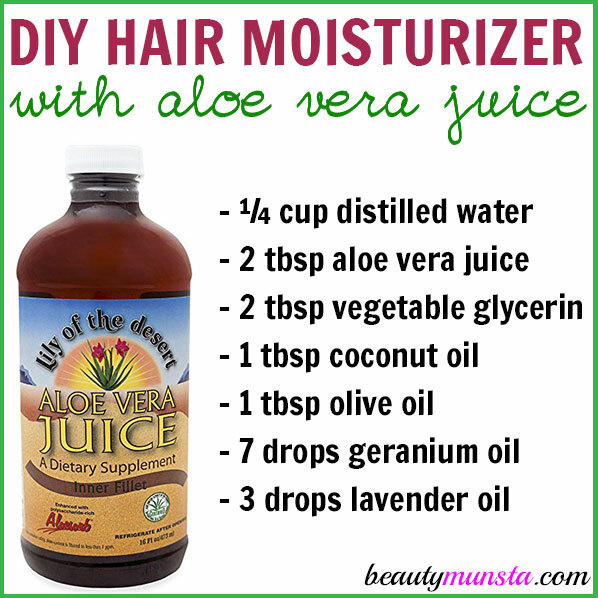 Please try out this DIY aloe vera juice hair moisturizer and come share your results! 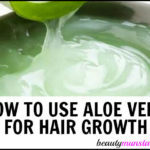 DIY Aloe Vera Hair Growth Recipes for Stunning Tresses!